The recovery spoon allows for quick sample retrieval. 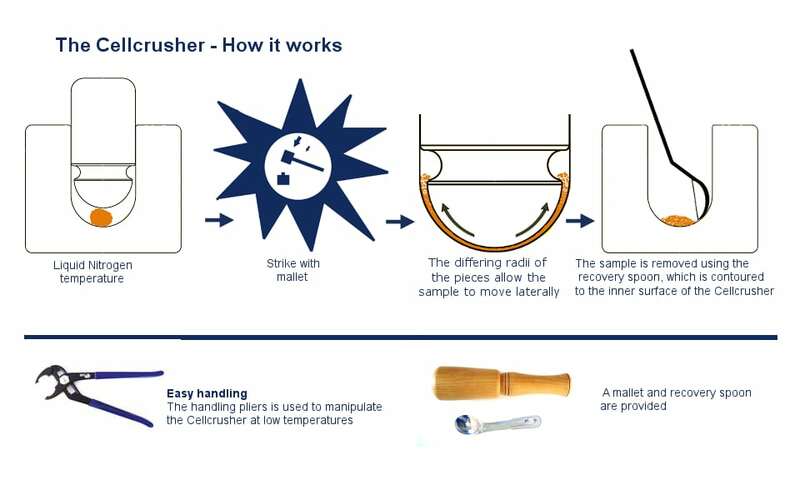 It is contoured to the curved inner surface of the Cellcrusher, so that minimal sample is wasted. The Cellcrusher is cleaned cold and dry, using the recovery spoon wrapped in tissue paper. This avoids the tedious task of warming and then washing an extremely cold metal object in water.